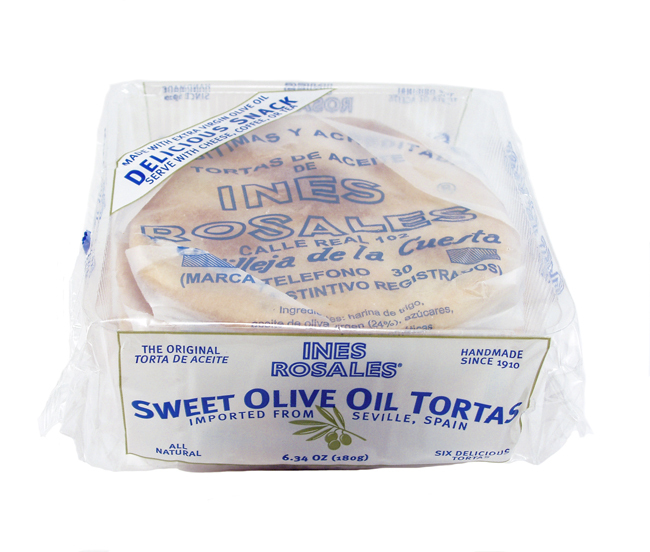 Or, in English: Sweet Olive Oil tortas. I stumbled across these little tasties during my trip to Hannaford on Sunday – the broccoli was abhorrent, but these tortas are sublime. Having neither eaten nor seen these items before, they appeared at first glance to be the perfect complement to the tapenade and hummus. I placed one of the packages into my cart, and didn’t give it another thought until later that night, when I had a hankering for a hunk o’ cheese a savory snack (ten bucks and my undying admiration to the person who can identify the reference). 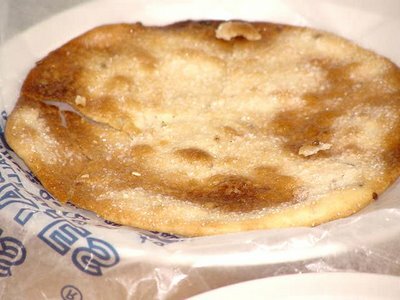 I removed one of the delicate tortas from its waxed paper wrapping, and was immediately struck by the fact that it was oily and liberally sprinkled with white sugar. OK, that’s the sweet part, I thought. Too sweet for olives or hummus, I guess. Then I bit into the thing, and was immediately transported. The texture was a bit crunchy – almost like a cookie – and a tad crumbly, not unlike a shortbread. Thicker than, but nonetheless reminiscent of, a toasted pita. And, oh, the flavor. Torta de Aciete, unwrapped. These little delights are imported from Seville (Spain), and made from 24% extra-virgin olive oil! I was not expecting what greeted me upon first bite – a beautiful burst of anise, much like the Italian cookies you get at the authentic bakeries. But, sugar sprinkle notwithstanding, the tortas are not overly sweet. It was all I could do to not eat the entire six-torta package at once. Next Next post: The Accidental Chef: Bob Cooks Pork and…Beans?